Walsall midfielders Jordon Sangha and Kacy Milan Butterfield are currently on loan to local Evo-Stik Premier League side Rushall Olympic. Walsall midfielders Jordon Sangha and Kacy Milan Butterfield are currently on-loan to local Evo-Stik Premier League side Rushall Olympic. You can find out how they got on in their latest outing, below. 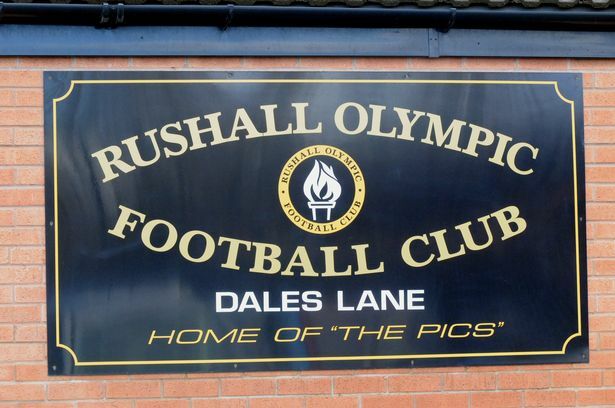 The Pics, who had won three of their last four league games, were back League action on Saturday afternoon as Liam McDonald's side faced Mickleover Sports at Dales Lane. Both Milan Butterfield and Jordon Sangha were given starting roles and the latter had a say in where the points ultimately headed in a chilly afternoon in Rushall. Mickleover started the game well and went close after four minutes, when player-manager John McGrath tried his luck from 25 yards. Rushall 'keeper Jahquil Hill was equal to it and tipped it round his right hand post. The Pics would punish their opponents barely a minute later as they took the lead through Saddlers midfielder Jordon Sangha, who got on the end of a ball in from the left to slide an effort past goalkeeper Lewis King. Following the goal, McDonald's side did a good job of restricting their visitors to possession in the middle third and it is to their credit that Mickleover didn’t create any clear cut chances after Sangha’s opening goal. Alex Morris got on the end of a John McGrath cross on 51 minutes but the Sports defender couldn’t get enough on his header to trouble Hill as his sheet remained clean. The Pics could have put the game out of sight just eight minutes from time when a Sam Whittall ball over the top played in Richard Brodie, but the former York City man fired the ball narrowly over from 15 yards out. The closing stages were tense, with plenty of Mickleover possession, but the Rushall defence stood firm. Apart from a Bradley Grayson header that drifted wide, The Pics looked untroubled as they closed out a hard fought victory. A superb result for the Pics, who continue to impress under Liam McDonald. More minutes for Sangha and Butterfield with Jordon grabbing the all-important goal to put last weekend's defeat to Workington to bed, Stretching their recent run to four wins in five league games.